The big round disc in the centre of an unusually deep and arched body may lead to the misconception that Rick Turners are acoustic/electric hybrids. But it turns out that they’re actually chambered solidbodies. This model originated during the 1970s and it’s a ‘classic’ of a sort, from an era that didn’t produce many guitars to warrant the epithet. Back then, given the variable quality of the products that the big brands were offering at the time, many guitarists and luthiers were looking to the future for inspiration rather than the past or present. For some, this meant exotic timber combinations, elaborate construction techniques and cutting-edge electronics, with powerful equalisers and piezo pickups. Rick Turner’s guitars tick all these late-70s boxes and arose as a continuation of ideas he developed during his time with high-end active bass and guitar specialists, Alembic. 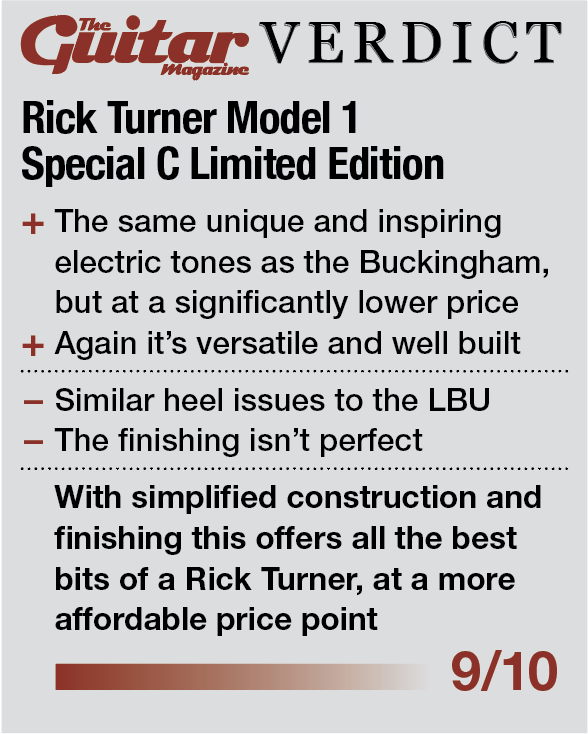 This heritage is particularly evident on the Model 1 LBU. The neck is a complex construction, with three strips of solid maple laminated with two strips of purple heart. 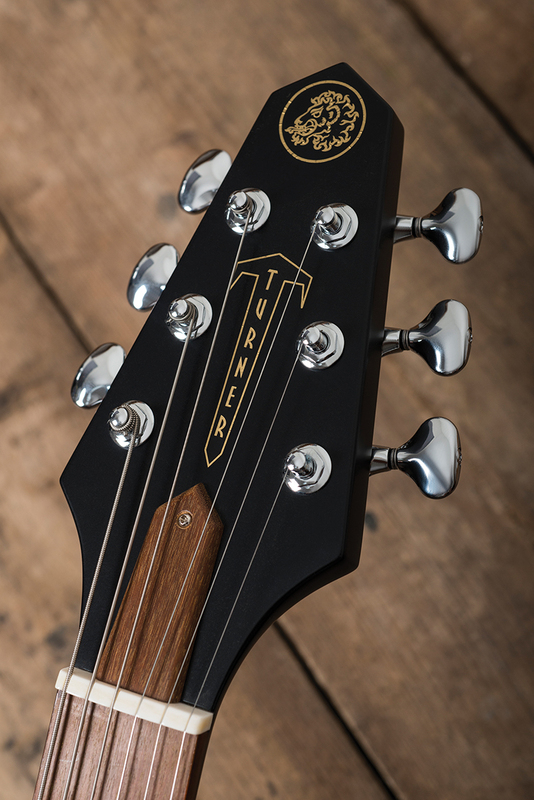 A maple headstock is scarf-jointed on the end, with a bound mahogany overlay on the front and a three-layer laminate of ebony and maple on the back that crosses over the scarf joint with a recess at the volute. Ebony binding continues around the 24-fret, pearl-dotted rosewood fretboard and the stacked-maple heel flares outwards to terminate in multiple ebony/maple layers and a chunky rosewood cap to match the truss-rod cover. 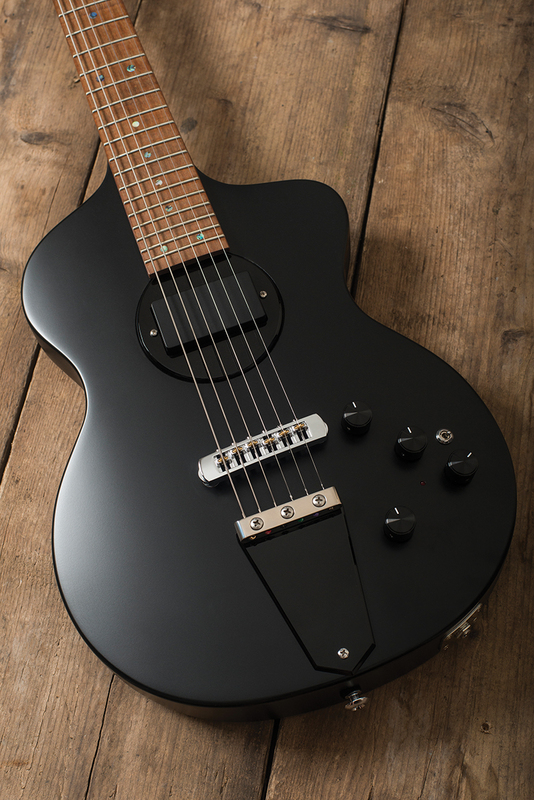 The Model 1 Special C’s Solid Satin Black finish hides the guitar’s construction, but judging by the specs, it’s a somewhat simpler affair, with a solid mahogany neck and laminations confined to the heel cap. 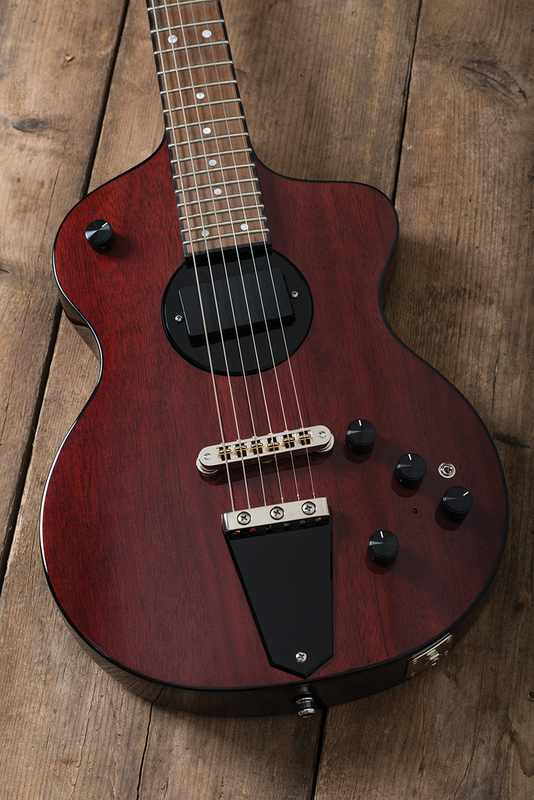 Of the two models on review, it has the more contemporary vibe, with abalone dots on an unbound rosewood ’board. The electronics are almost identical on both models. 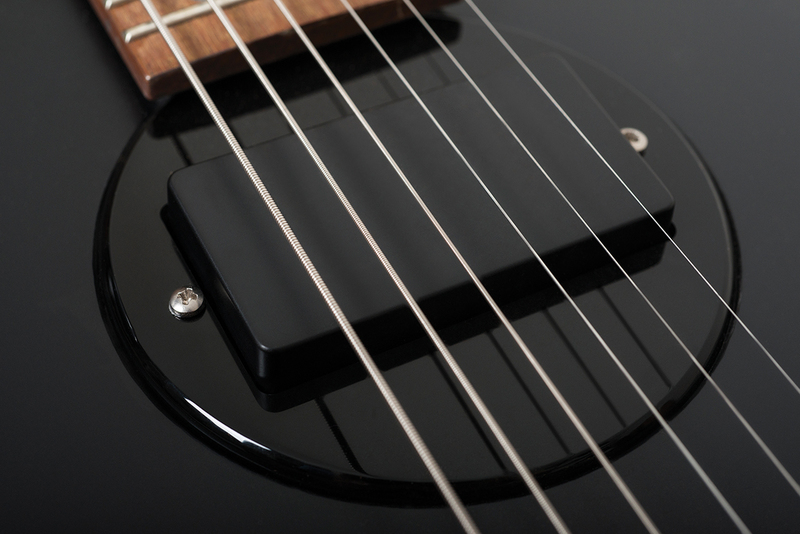 A single humbucking pickup is mounted just off-centre, with a hex bolt on the back of the body. Slackening the bolt allows you to turn the pickup mounting around its centre point to finesse the bass and treble string response. The controls run in two modes – passive and active – with a mini-toggle to switch between them. The master volume and tone controls remain functional in both modes, but active mode (with its red status LED) introduces a quasi-parametric equaliser. The knob directly above the switch is a frequency-sweep control and the other provides 12dB boost/cut with a centre detent. The Model 1 LBU also has an LR Baggs T-Bridge piezo system bridge, with a magnetic/piezo blender control on the upper bout. 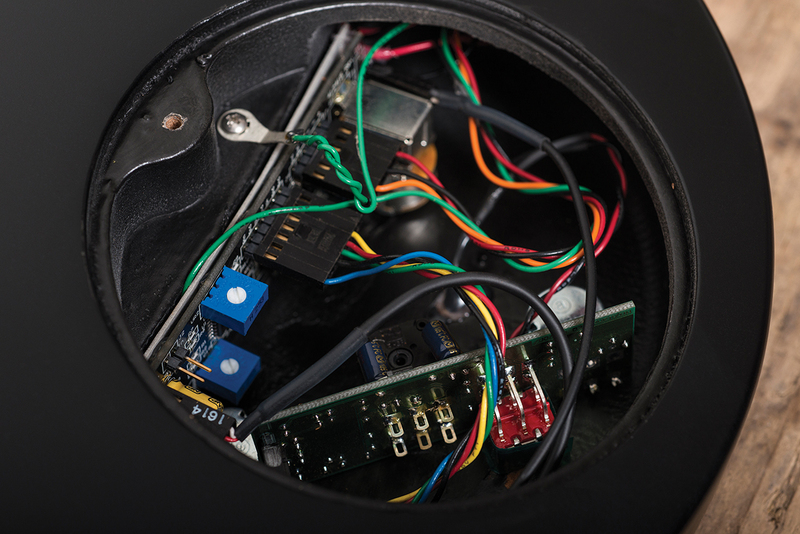 The battery powering the onboard electronics is found under a black cover screwed onto the body behind the bridge; lifting the control panel reveals crowded printed circuit boards loaded with surface-mount components. 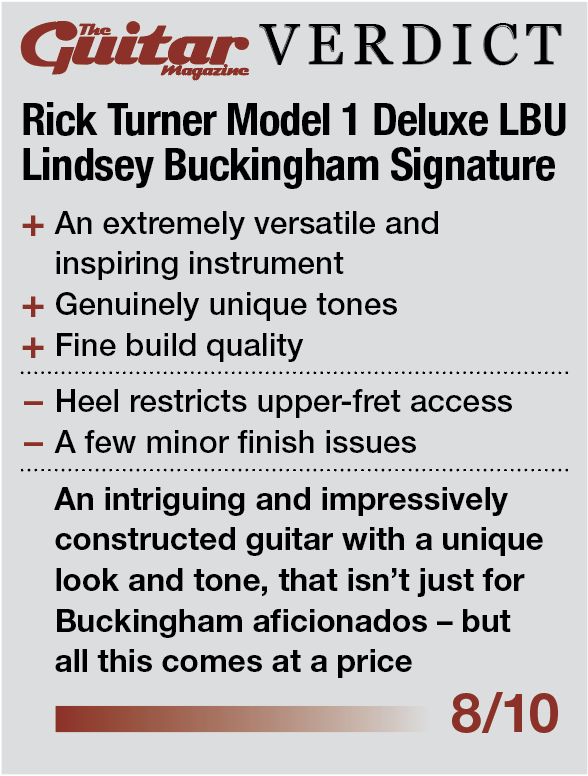 While the electronics are extremely important to the Rick Turner aesthetic, these guitars are not dependent upon them. 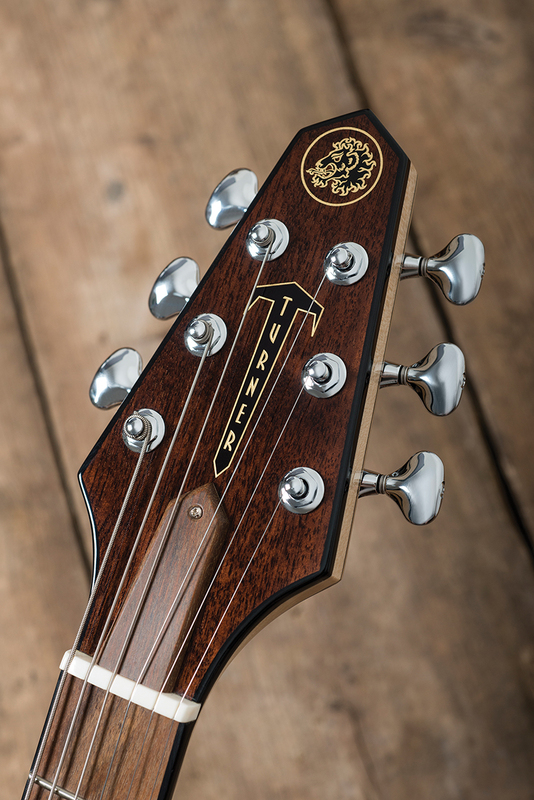 We feel that Turner must have prioritised acoustic tone as the starting point for his design, because let us make no bones about it, these guitars sound absolutely extraordinary unplugged. Although the LBU is somewhat brighter and more chimey than the woody and warmer Special C, both guitars are extremely vibrant and loud, with outstanding string balance, an even response across the neck and sustain that borders on otherworldly. It’s time to plug in – and we’ll begin with a warning. Even in passive mode, these guitars are very loud and bright. We don’t feel that the controls are intended to be run wide open as the default setting. They don’t respond like conventional volume and tone controls, because the volume only affects volume and the tone control’s treble roll-off is so smooth and gradual that it’s usable across its entire range. Even through an amp, the acoustic-meets-electric aspect remains. It’s a full-frequency experience that reaches both deeper and higher than conventional electric guitars, with outstanding clarity and rich harmonics in abundance. It’s far from traditional, but the sheer range of sounds dispels any concerns about having just one pickup. Exploring the full sonic potential of these guitars does require you to think about the controls in a new way, and get creative with them. Still in passive mode, you can turn your amp up so it’s overdriving, and then run the volume at about 75 per cent with the tone turned high for a sparkling clean sound. Crank the volume and roll tone right back, and you get fat power chords and creamy sustain. With the parametric boost set at its null point, switching to active mode produces no audible effect – which is exactly as it should be. Things change quickly as you dial in some boost and sweep through the frequencies to experience the sheer power of the equaliser. Boosting specific frequencies pushes an amp into saturation, but only at those frequencies. So you can get midrange crunch and singing solo tones without losing the treble sparkle, bass definition or dynamics. By turning that boost into a cut, the sound can be cleaned up and hollowed out into a funky jangle with relatively little drop in volume. You can also set the passive mode for a brighter pseudo-acoustic tone, and switch to your pre-set active mode for instant overdrive. When you begin factoring in the volume and tone controls, it seems the only limits are your imagination and willingness to experiment. 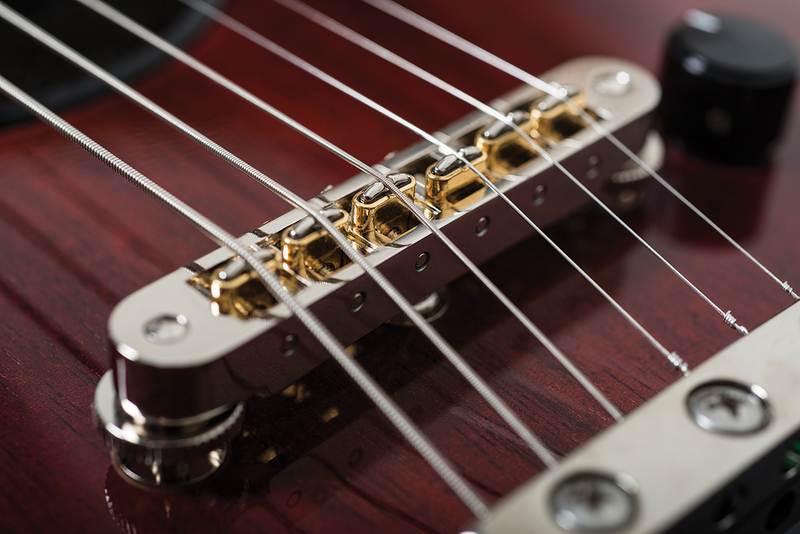 We haven’t mentioned the push/pull single-coil feature yet, because we achieved all of the above in humbucking mode. Although we’re able to dial in usable single-coil tones, the parametric is so powerful that we can achieve similar results without adding noise. It’s nice to have it, but we can’t envisage using it that much. That said, it does work beautifully when the LBU’s piezo is blended in. The piezo tone really brings the guitar to life and is mercifully devoid of anaemic quack. It actually sounds warmer than the single coil, and adds even more harmonic texture along with extra dynamic response. 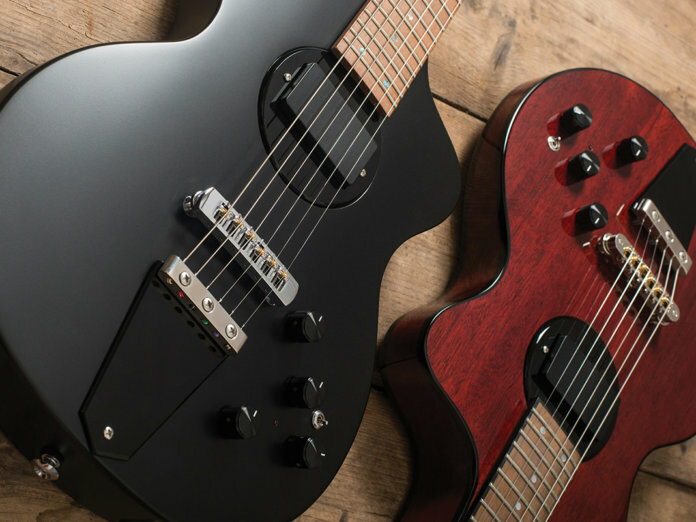 Irrespective of the price point, these guitars aren’t for everybody, sounds or looks-wise. But we find them to be sonically fascinating and our time with them is a real joy. Besides the piezo, there’s little between them sonically, so the LBU’s extra cost is mostly spent on materials, binding and the finish. Unlike some classic models, these guitars are liberating rather than confining – the rest is up to you.